Since last year, the Disneyland Railroad has been closed, as the Rivers of America and the railroad itself are re-routed to make room for the future "Star Wars" Land coming to the park in 2019. 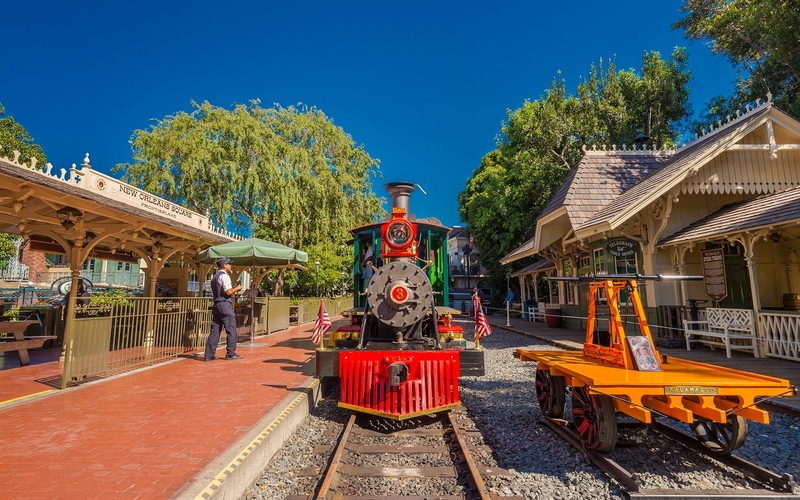 To compensate a little bit, the Main Street and New Orleans Square stations have been open during the daytime to provide guests with up close encounters with some of the locomotives that power Walt Disney's steam train system. The opportunities are especially unique in New Orleans Square, where guests have been able to access the far side and stroll along the original Frontierland Station for the first time in decades. There are also unique shots available for photographers, such as this head-on shot of the Fred Gurley taken in-line with the tracks!